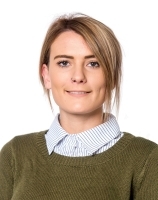 Emma is a paralegal in the Property & Planning Group and handles all aspects of selling and purchasing property. As well as working for individuals and companies, Emma also works for property developers in multi-stage subdivisions. Emma has had four years of experience as a conveyancing assistant in northern Tasmania. Emma commenced working at Page Seager in March 2017.